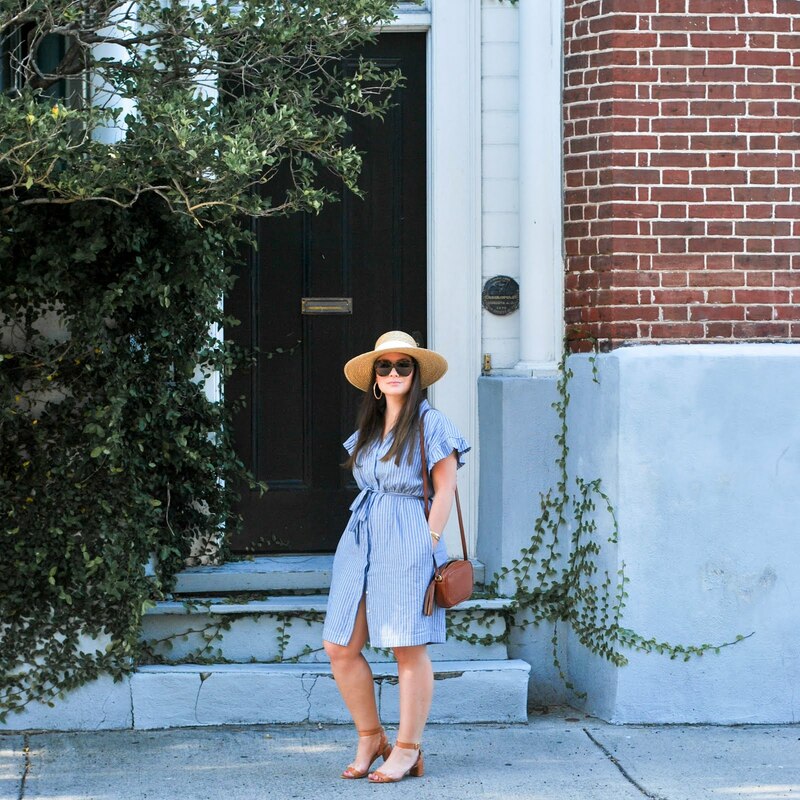 The deets: LOFT dress (sold out, similar); Steve Madden wedges (similar) and bag (similar); ZeroUV sunnies; Anthropologie earrings; Bauble Bar necklace (similar); Michael Kors watch. I spent my Sunday brunching with two of my favorite ladies (one of which is becoming a mama in roughly two weeks). After our delicious meal we spent some of the afternoon perusing the shops of Clarendon for Labor Day sales. Although all I came home with was hangers, a planner, and these babies, it was a pretty fabulous day capitalizing on one of the last slow summery days of the year. 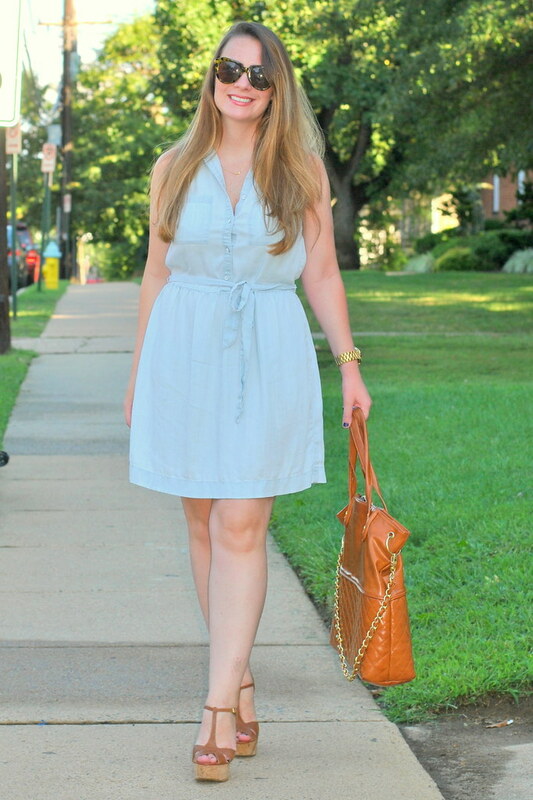 Can't go wrong with a chambray dress! 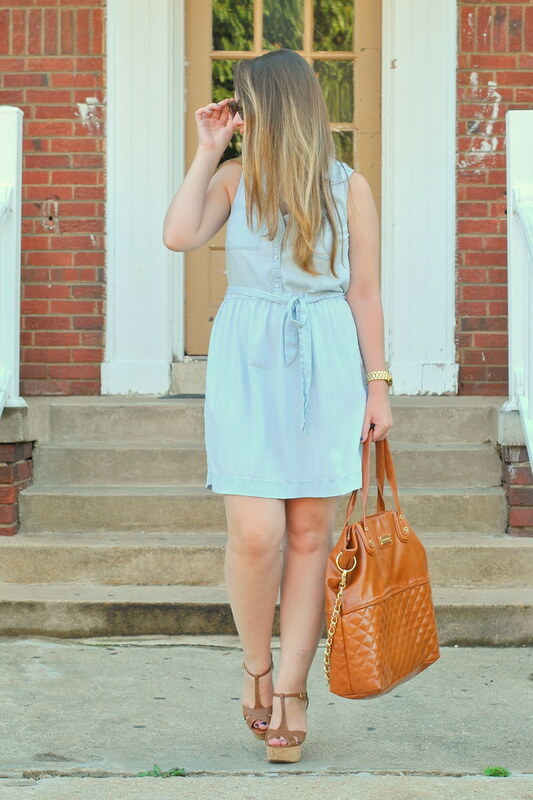 Love this brunch look!